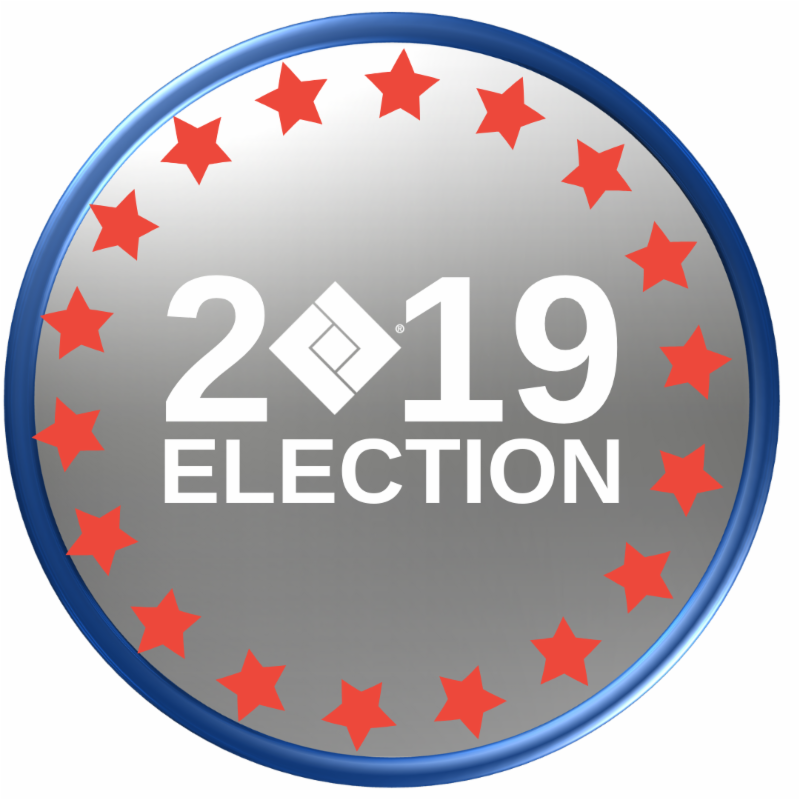 The WOCN Society's Annual Election will end on March 6, 2019. Please cast your ballot if you have not already done so. WOCN Full members, Retired members and Lifetime members are eligible to vote and should have received an election email on Monday, February 4. If you did not receive this email, or if you are unsure of your unique Voter ID #, please contact the WOCN National Office at info@wocn.org. 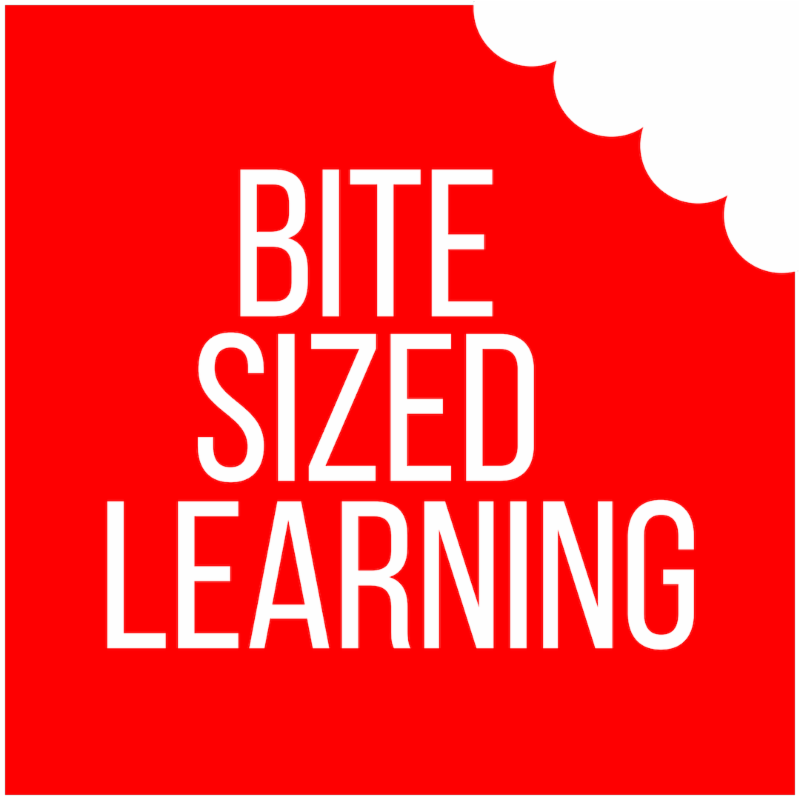 Bite-sized learning CE courses break down important WOC nursing information in 30-minutes or less. By their very nature, nurses give love and compassion to others every day. This Valentine's Day, share the love by donating a gift to the Fund the Future campaign in honor of a WOC nurse who has positively impacted your life. Your tax-deductible gift will support educational funding for nurses who are beginning their journey into the WOC nursing specialty and is a meaningful way to show your love and appreciation for that special WOC nurse in your life. 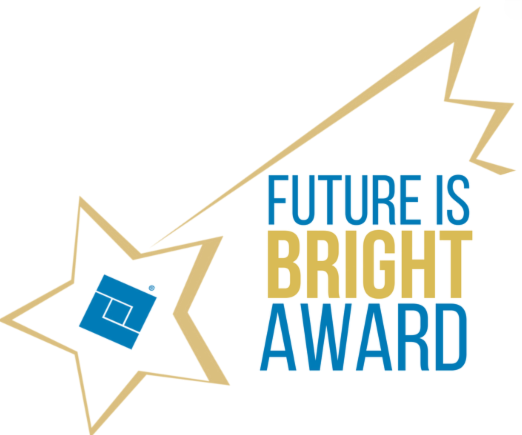 The Future is Bright Award recognizes a new WOC nurse who exemplifies the scope of the WOC nursing as defined in the WOC Nursing: Scope and Standards of Practice, 2nd Edition. We encourage all members* to submit a nomination by Tuesday, March 5, 2019. This is a great way to recognize one of your peers who is new to their WOC nursing role. 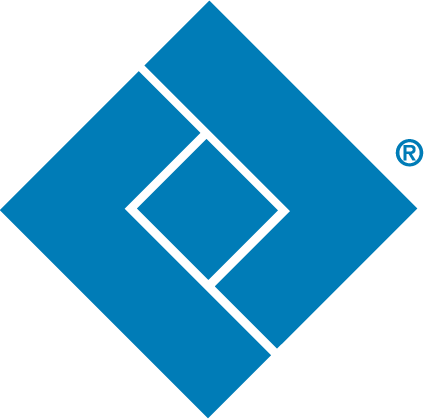 The award recipient will receive compensation to offset expenses to attend WOCNext 2019 in Nashville and will be presented with the award during the opening session awards ceremony. Don't miss WOCNext in Nashville. This event is designed to equip you with evidence-based strategies to face challenging issues that span across specialties, care settings and patient populations. Interactive sessions with live polling and speaker Q&A via a smartphone or tablet. Varied educational formats in 30, 60, and 90-minute sessions. View the event schedule. One-on-one appointments with exhibitors for increased product knowledge. View the Exhibit Hall Floor Plan. Enriched networking opportunities to meet WOC practitioners and researchers who work with diverse patient populations in various practice settings. Save up to $50 on registration fees before May 3. The 3M Award for Excellence in Skin Safety recognizes an individual or team for creating and sustaining a successful skin damage prevention program that demonstrates positive clinical outcomes, teamwork and knowledge transfer. The Society will award the winning program with a complimentary trip to WOCNext 2019. An individual or up to four members of the winning team will be invited to attend the conference, with the award covering conference registration, airfare and lodging. 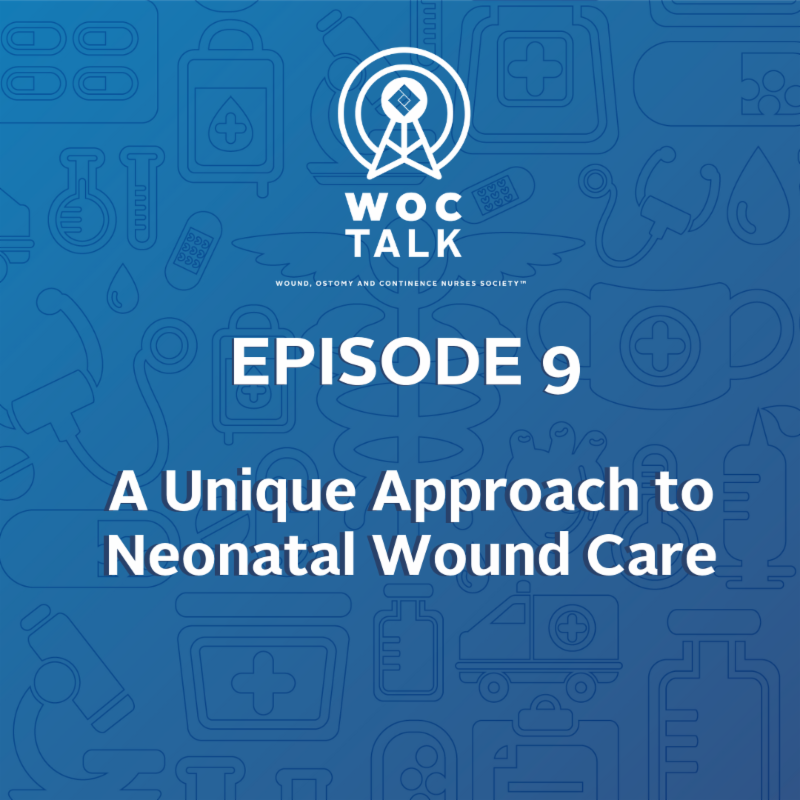 Episode 9 of WOCTalk, A Unique Approach to Neonatal Wound Care, is now available. In this episode of WOCTalk, we sit down with Stephanie Furtado, BScN, RN, ET MClScWH, SWO, to discuss her unique approach to a micropreemie patient born at just 24 weeks. 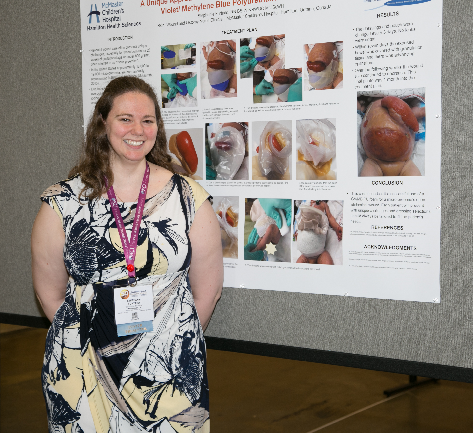 Stephanie outlined her approach within her merit award winning poster at the WOCN Society’s 50th Annual Conference in 2018. The JWOCN Incontinence Associated Dermatitis collection of articles contains resources designed to define and describe the characteristics of this disorder, to distinguish it from pressure ulcers, and to provide evidence based guidelines for prevention and treatment. 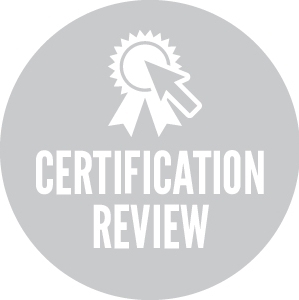 Courses presented by leaders in WOC nursing to help your prepare for your certification or re-certification exams.